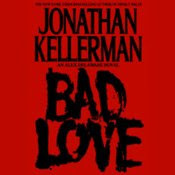 When Jonathan Kellerman's "Alex Delaware" books first started appearing in the 1990's, it was common practice to do two versions--an unabridged "library" edition read by a journeyman like myself, and an abridged "retail" version with a celebrity narrator, in this case John Rubinstein. I recorded the first ten or twelve in the series, then the abridged-unabridged thing became moot and John has been doing the full-length versions ever since. He does a great job with them. I enjoyed them up to a point, then they became rather formulaic and it took some effort to keep them sounding fresh and interesting. The gimmick was a semi-retired child psychologist who gets involved in bizarre cases and has to do some dangerous sleuthing to save his young clients. There was a fair dose of gluey PC stuff--a crusty gay cop/best friend, a beautiful-but-smart girlfriend who makes musical instruments, and so on--but, at least initially, the stories involved intriguing psychological phenomena. As the plots grew more outlandish, it was a struggle to maintain believability. I wasn't sorry to see my involvement come to an end, but they were fun while they lasted. This is an example of what I call "the best-seller curse." So many of the so-called "top titles" are churned out in cooky-cutter, assembly-line fashion, aimed at quick consumption. It's hard work to make them sound credible in audio. I, for one,would gladly forego whatever cache these titles might bring in favor of something with more meat in its bones.